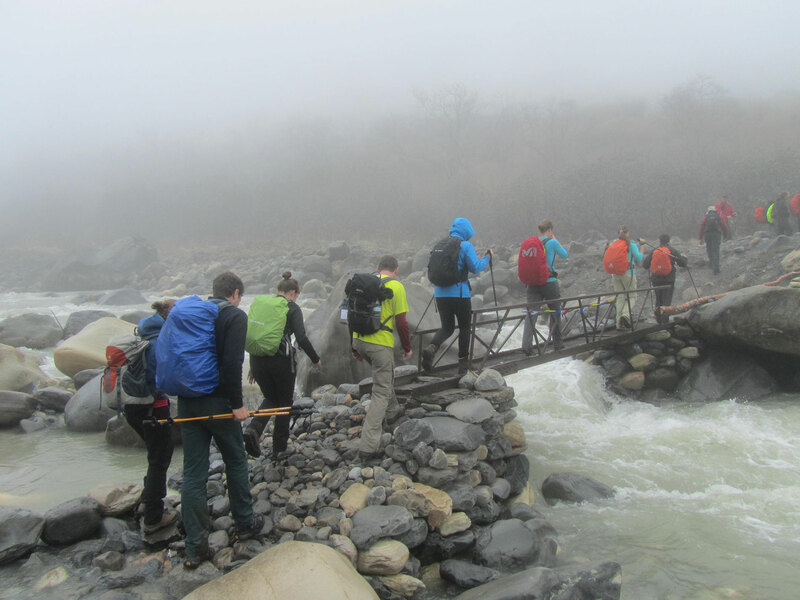 This trip allows you to experience the culture of West Bhutan as well as of south. You will fly into Paro valley, visit Thimpu-the capital of Bhutan and you will exit it overland via Phuntsoling. Phuntsoling is the gateway to the south and is a thriving commercial center. Phuntsoling is famous for world-renowned Bhutanese stamps. From Phuntsoling, you can continue to Sikkim or Darjeeling. Upon arrival at Paro airport, our representative of Bhutan will meet and transfer to hotel. You will visit the fortified tower of Ta Dzong, now a natural history Museum, ruins of Drugyal Dzong that once guarded the invading Tibetan forces, and Kyichu Temple of 7th century and local township. In the morning, you will visit the famous Takstang Retreat (Tiger’s Nest) and in athe afternoon drive to Thimpu-the capital of Bhutan. You will visit the hospital for traditional medicine, Memorial Chorten and national Library. After lunch visit the Handicrafts centers and the School of Thangka Painting. The journey from Thimpu to Phuntsoling takes about 6 hours. It cuts across the middle Himalayas at 3000m descending to the Terai of 500m. In the afternoon, stroll in the township and collect the famous Bhutanese stamps. After breakfast, your guide will see you off at the border then extension to Sikkim and Darjeeling. You can extend your trip to Darjeeling-the British Developed hill station of the West Bengal and Sikkim-the valley of the Rice Bowl. After the trip in this region, from Bagdogra airport, you can fly to Delhi or Calcutta or further continue your trip to Nepal.